specially designed for vehicle tracking. cars and heavy duty vehicles. devices designed for equipment tracking. generators, containers, rolloffs, dumpsters, etc. • Time Management Reports Mobile and office based time keeping with GPS location. Clock in and out using biometric keypads or mobile apps with location logging for accurate time sheets and job reports. 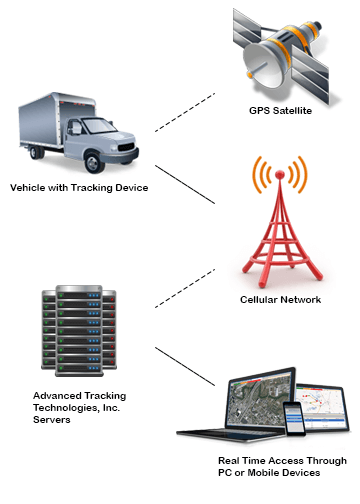 Every company’s GPS tracking needs are unique.That’s why we offer a variety of GPS tracking devices to meet those different applications. 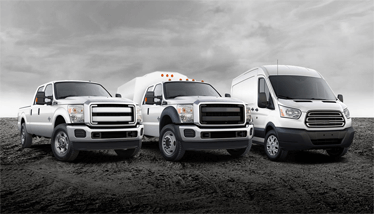 We know that fleet tracking solutions are more than one size fits all. That is why we offer vehicle tracking systems, battery powered tracking devices for equipment along with time keeping solutions for mobile employees. With GPS tracking devices and time tracking technology from Advanced Tracking Technologies you can be “in the vehicle” or “at the job site” with each of your employees without ever leaving the office. Vehicle tracking devices are put in with a simple 3 wire installation that most companies arrange themselves, and asset trackers are a simple as mounting the device and turning on the switch. If you don’t feel comfortable installing yourself, we offer full onsite GPS tracking device installation services and as always; online training and technical support are unlimited and free of charge.